I’m thrilled to introduce Rebekah to you in this Member Spotlight! 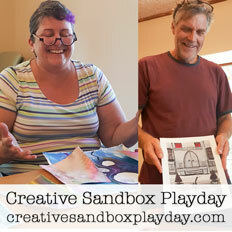 How did you find the Creative Sandbox Community? I’ve been following Melissa for years, back when she and Cory Huff started their Art Empowers Me program. When they split up, Melissa got full custody of my attention. 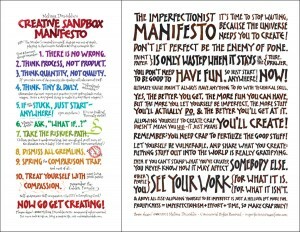 Her messages about mindset and creative practice really resonated with me. I read her blog and listened to her podcast for a long time before I finally jumped into the Creative Sandbox Community. I’m a storytelling artist who shares stories through writing, photography, podcasts, and audio books. I dabble in many other mediums, though, because I have shiny object syndrome and love trying new things. My biggest gremlin tells me I’m not a real artist unless I make 100% of my income from art. So, he’s basically calling me a failure 24/7. Every day is different. My ideal day starts with a green smoothie. I write in my gratitude journal, I write in my journal journal, I check my bullet journal (yes I’m aware I have a few too many journals!) for what my monthly and daily goals are and get to work on a project. Currently I’m working on turning 100 of my blog posts into an audio book. I take a break in the middle of the day to go for a walk or throw a ball for my dog, then I get back to work. Ideally, I X off some items in my bullet journal and feel accomplished. This kind of day happens about once or twice per week. The relationship between art and commerce in my life is practically nonexistent, except in my dreams. Any artist who has overcome the starving artist mindset. Any artist who faces their fears. Any artist who values authenticity over appeasement. Any artist who shows up to do the work. I have so many inspirations. Some people that come to mind are: Jenika from psychologyforphotographers.com (her writing is so amazing, I even love reading her sales emails! Her Irresisitible Words course upleveled my writing), Dean Russo (pop artist who paints dogs – paricularly love his pit bull paintings), Ashley Longshore (I don’t love her work as much as I love her personality and fearlessness), and Joe McNally (who fearlessly shares all his photography secrets and infuses his writing with personality). Launching my new podcast! It will be an extension of my storytelling skills and a way to share the work of other artists I love. I’m an animal lover and a proud member of HeARTs Speak, a nonprofit that supports artists helping animals all over the world. I’m the proud parent of a pit bull, 2 cats, and a talkative bird. I want to be in a safe space to share art and ideas. I’d like to find friends to collaborate with. 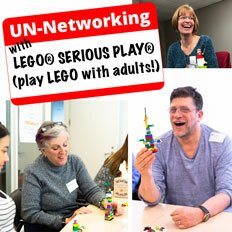 Having people who can relate to the challenges of living creatively is important, too, because we all need to vent. I’m a storyteller, an artist, and most importantly, a creative collaborator. I’ve been a writer my entire life, a photographer almost as long, and I’ve recently added audio production to my storytelling playground. 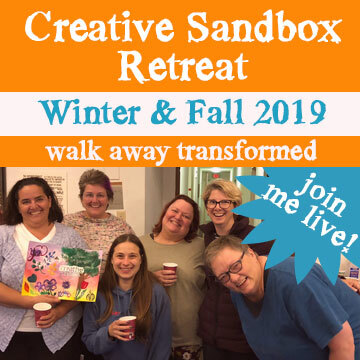 Thank you, Rebekah, for sharing your story and experiences walking the Creative Sandbox Way™! What parts of Rebekah’s story resonate with you most? Share in the comments below! 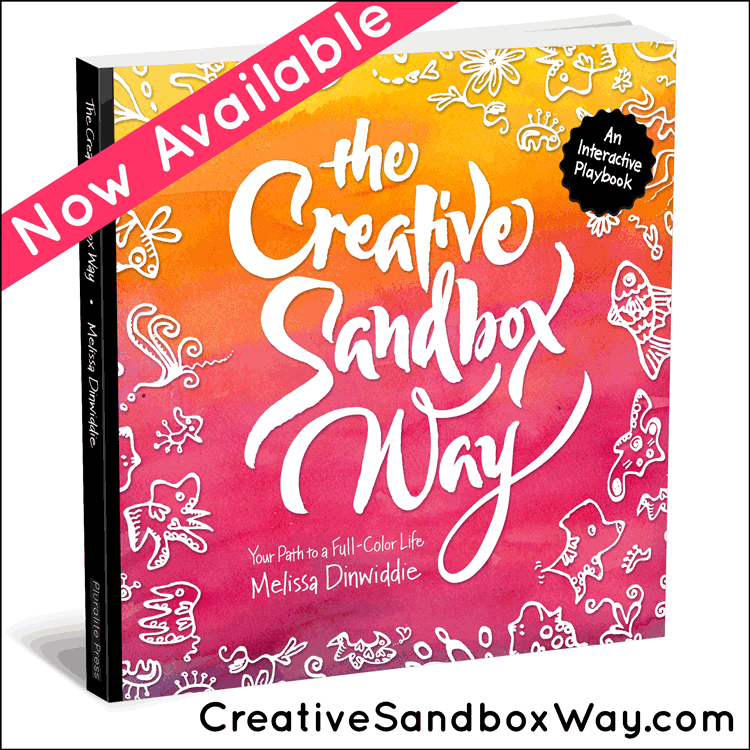 Find more amazing women like Rebekah inside the Creative Sandbox Community. We are women from a variety of backgrounds, linked by our desire for something more, our compassionate hearts, and a creative urge. We channel our collective energies into rocket fuel to propel us forward.